I managed to put together a post for you tonight. You'll notice something a little different. I'm trying out a white background for my photos, but I'm not completely sold on it yet. I haven't decided whether to go back to the black or not. Let me know your opinions, please! When Rylee sent me these two I literally squeed out loud. 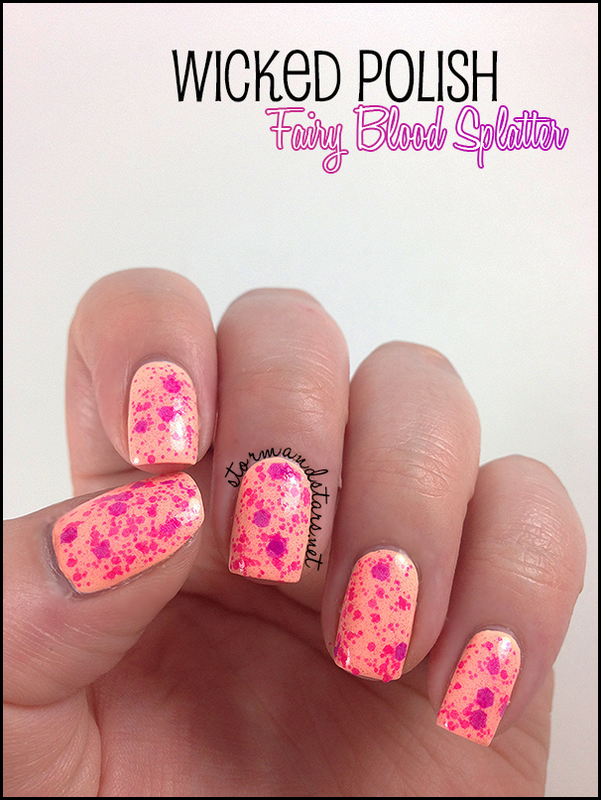 First up is Fairy Blood Splatter from the Wicked Whimsy collection. Yummy neon pink and purple glitter! I had a bit of trouble capturing the difference between the two colors of glitter in this, but in person they are distinctly pink and purple like you can see in the bottle shot later in this post. I started with a base of Polish Me To Go Honey My Dew! then layered one coat of Fairy Blood Splatter on top and finished with two coats of Seche Vite Topcoat. 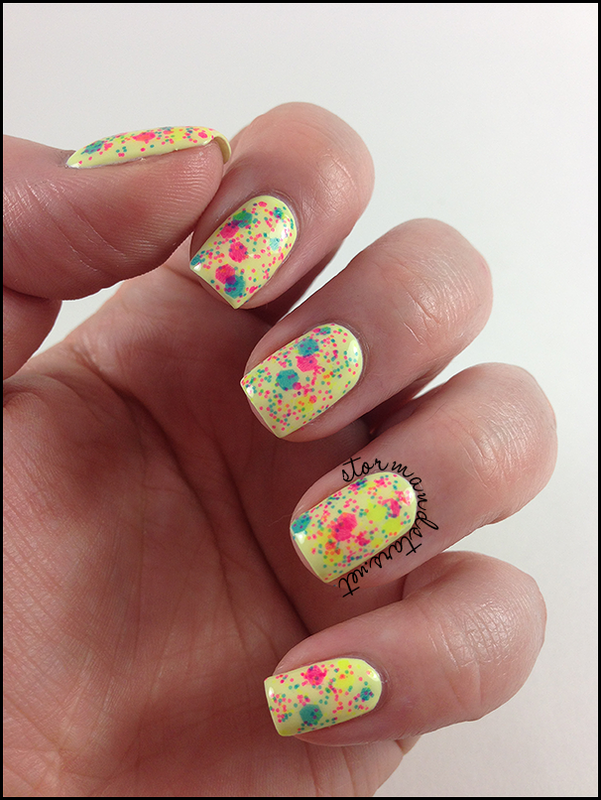 Fairy Blood Splatter is a neon glitter filled shimmery polish in a clear base. I really love this one and I want to put it over EVERYTHING! I did have to place glitter a bit, but nothing different from most glitter polish with large glitter. Did I mention I really love this?? How freaking awesome is this?!?! I love this glitter so much! Rylee explains this polish by saying that the primary colored glitters mix when layered to create other colors. What a great concept! For this mani I started with a base of Serum No 5 Day Glow and then added one coat of Hung-Over The Rainbow. I again finished with two coats of Seche Vite Topcoat. This is another glitter that I want to layer over EVERYTHING lol. I <3 it. Which Wickeds are calling your name? Wicked Polish is having a restock TONIGHT at 7PM Pacific Time. If you're looking for one of these polishes be ready because they sell out wicked fast! You can find Wicked Polish at their store and also at Harlow & Co.
ahhhh these are so awesome! I have yet to get my hands on Wicked's newer colors! I keep getting cart jacked on her restocks boo. Your swatches are gorgeous! The white background is different from what I'm used to seeing on your blog but it's a nice welcomed change. The first one really does look like splatter! Wow hung over the rainbow looks great!!!!! !